You know that jigsaw that you got for Christmas, no not the 50-piece children’s one with large friendly pieces and obvious connections. I’m talking about the 3-D globe jigsaws that look great on the box but seem impossible to even start. There are no easy corners or edges and every piece seems to be connected to every other one through the core. The annoying thing is that you know if you could just work out where to start, tackling the 3-D jigsaw could be tremendously satisfying and rewarding. Innovation culture is a bit like tackling that jigsaw. You know what your end goal is, and you appreciate what rewards can come from successful completion, but it just looks so complex that it is sometimes hard to know where to start. And the trouble is that if you approach the challenge in the same way as a child’s jigsaw, looking only for the obvious connections then you are potentially missing out on the rich spider’s web of interconnectivity which will lead to true differentiation and genuine innovation, not theatre! Having said that, building a culture of innovation isn’t an inherently complex task. The trick is to move your mindset away from any notion that building a culture of innovation requires some sort of linear action; laboriously placing single brick on single brick and not moving forward until the preceding row is firmly in place. When it comes to organisational transformation in pursuit of innovation, success comes from taking a spoonful of the innovation medicine, i.e. aiming to be innovative about being innovative, drawing all elements together in one holistic push. This results in an interconnected web of action and interaction, an ecosystem with every element supporting and complementing every other strand of the organisation. Let me give you an example which isn’t specifically related to innovation but demonstrates how disparate elements of your organisation are interconnected through an invisible web of cause and effect. You decide to do something about customer satisfaction levels which have been falling off of late. A recent decision to switch supplier has resulted in a deterioration of delivery times. An upgrade to the website may have made use of the latest technology but in the process has added layers of complexity to the customer ordering process. 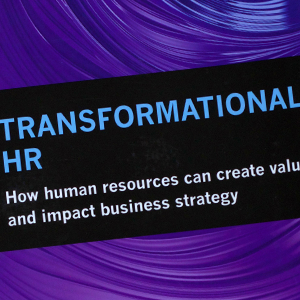 HR’s decision to devolve some of its reporting and data gathering functions to departments or teams has resulted in individual staff members across the board having to step away from their work on a regular basis in order to fulfil internal reporting requirements. And what people have to say about the sheer complexity of the finance department’s new expenses system is perhaps best left unreported. As a result, employee engagement across the board has fallen away, as has productivity. People are unhappy and stressed and this is feeding through to customers and impacting profitability in a myriad of ways. Why are all these things happening? Quite simply, because some time ago the board took the decision to improve control and look for cost-cutting measures. As a result, every department, every team, every function was instructed in isolation to take some form of action. And they did so; unfortunately, because they were acting in isolation, they just looked at their own individual end goals without considering the impact of their actions on colleagues, the organisation and its clients. To put it bluntly, when it comes to corporate initiatives, divide and conquer is putting it mildly. The real result is far more likely to be along the lines of divide and destroy. The secret of transformation success is to recognise the interconnectedness and interdependence within your organisation and draw all the strands together in a holistic move towards differentiation. And that holistic transformation ambition isn’t going to have a hope of succeeding unless you step away from the linear, departmentalised, view of your organisation. In effect this requires a step up in consciousness, a recognition of cause and effect and the way in which the actions of one individual, team or department can profoundly affect others. Moving away from linear working, hierarchy and demarcations; taking a step back to look for patterns of patterns not only requires a transformation approach throughout the organisation but also transformation of thinking for some organisational leaders. To a greater or lesser extent, we are all products of the machine age in which people were merely seen as elements within a defined process. Shaking off that legacy and stepping into a new era, defined by the fourth Industrial revolution which ushers in empowerment and innovation can require a change of leadership mindset and behaviour which is as profound as the transformation required within the organisation. However, despite someone once saying, “culture eats strategy for breakfast”, I believe strategy, leadership and culture eat breakfast together! Some of you may ask why I am advocating a holistic approach to innovation culture transformation when in my book “Building a Culture of Innovation” I set out what appears to be a six-step process. The answer quite simply comes from the subtitle of the book “a practical framework” and from the first ‘step’ which talks about knowing where you are now. Building an understanding of where your organisation currently sits in terms of innovation culture and maturity also requires leaders to step back and understand that interconnectivity which flows throughout the organisation. And the end goal is not simply one box ticking achievement but creating a framework which will enable innovation, as a demonstrable capability, to flourish and develop on an ongoing basis. As a recent BCG article says, “transformations are no longer one-time initiatives.” Not that they ever should have been but as the BCG article goes on to highlight “Because the pace of change is so fast, companies need to adopt an always-on transformation mindset.” Understanding this, stepping back and seeing the patterns within patterns which inform culture and delivery within your organisation is the crucial first step in the innovation transformation puzzle. When you can see how all those individual pieces interconnect then continuous innovation and great customer experiences are only a short step away. So, my challenge to organisational leaders is; how clear is your innovation culture strategy? Because if you can indeed ‘unleash tremendous amounts of energy’ in pursuit of innovation you stand a chance of becoming a ‘Next Generation Organisation’ and one of The Future Shapers!